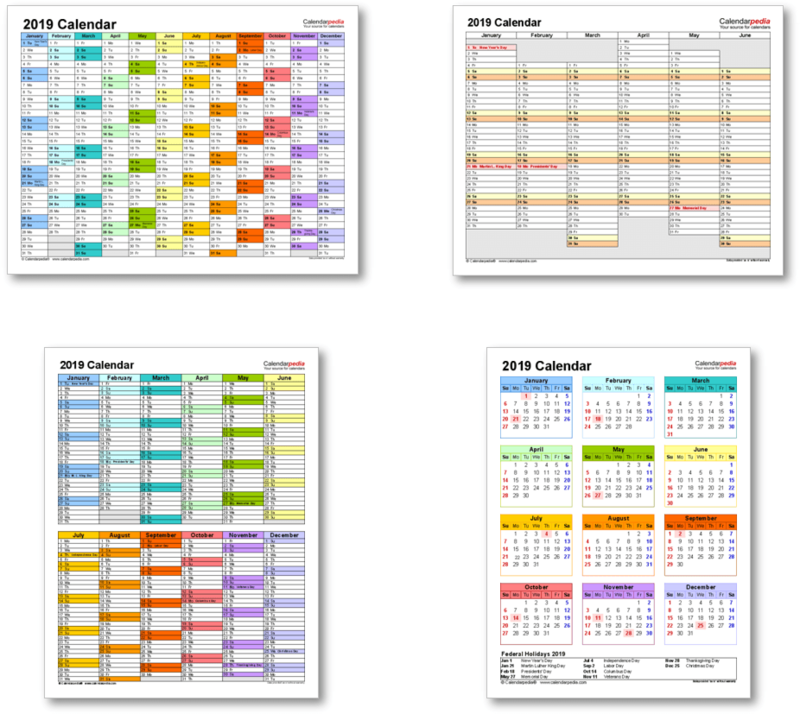 When is Jesus' Birthday 2019? 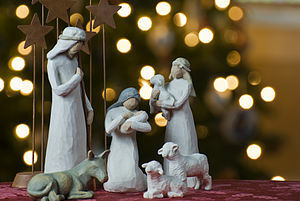 A depiction of the birth of Jesus with a Christmas tree backdrop. 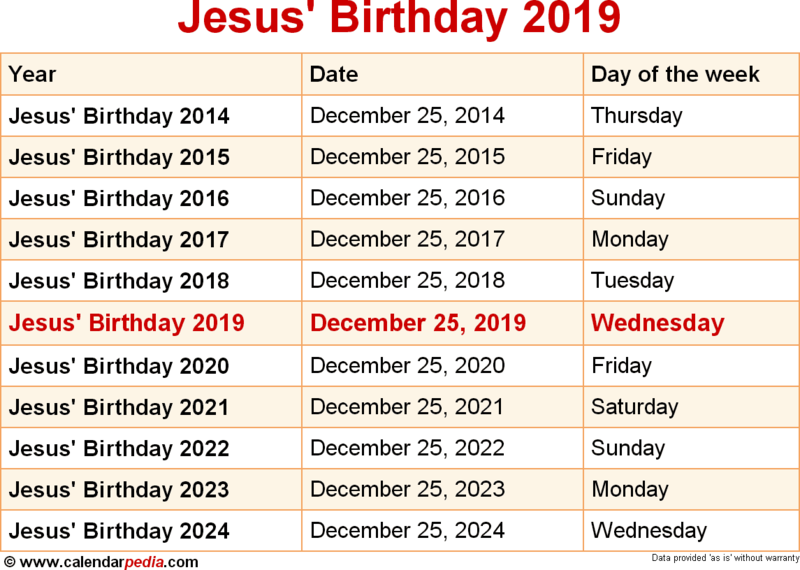 While it is not known on exactly which day and in which year the historical Jesus was born (most scholars assume a date between 6 BC and 4 BC), for feasts and liturgy Jesus' Birthday is commemorated on December 25 of every year. This feast, referred to as Christmas or Christmas Day, has become a religious and cultural holiday celebrated by billions of people around the world. The origins of Christmas lie in pagan festivals celebrating the winter solstice, which occurs a few days before December 25, that were fused with the festival of the Nativity (birth of Jesus) celebrated by early Christians. When is Jesus' Birthday 2020? The next occurrence of Jesus' Birthday is marked in red.